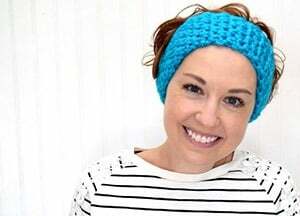 Last summer I put together a list of 10 crafty tips to help you out in your DIY adventures. Well guess what? Here are 10 more little bits and bobs of advice I have compiled and I’m sharing them today! Basically I carry a notebook with me at all times and it sits next to me when I craft. Every time I used a little tip that I thought could be helpful, I’d write it down because it all kind of runs together inside of my head. 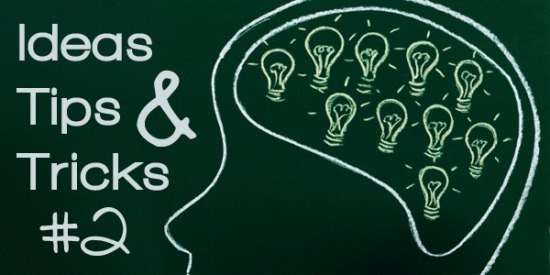 If you have any ideas, tips or tricks, feel free to share them in the comments! TIP 1: Polymer clay like Sculpey or Fimo will last you FOREVER. Seriously. 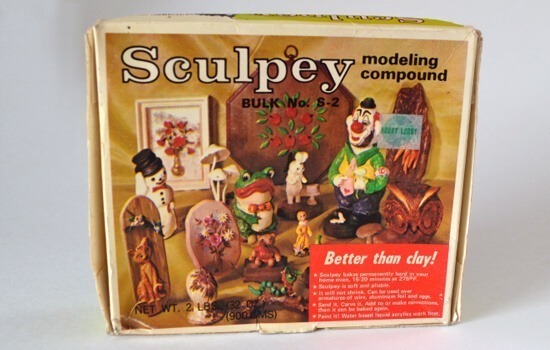 In fact I have a box of Sculpey that I have been informed is almost as old as I am! It is rock hard but that is easily solved. Sure you can buy up an expensive polymer clay softener but you can also just run to your kitchen and grab your bottle of vegetable oil. Whether it’s every day vegetable oil, canola, olive or whatever you have in your kitchen cabinets doesn’t really matter. Pour a little bit into a small bowl for crafting use only (you’ll see why in tip #10) and smear a thin layer on top of your rock hard clay. Fold it in as best you can (if it’s REALLY old it might try to crumble on you but no worries) and fold in. Keep doing this until you get the consistency you want. Absolutely nothing will be changed and when you bake it, it will be business as usual. Now I don’t have to worry about you running to get your polymer clay out for a project and tossing what you’ve got straight into the garbage because it’s hard. Now you have a solution! FYI, I recently worked on softening up some of my vintage sculpey and I got through about a pound in just under an hour or however long the season premiere of Call the Midwife was on for. TIP 2: You may have already picked this up if you’re a craft blog regular, but in the event that you aren’t I’ve got quite a tip for you. Fabric paint comes in only so many colors. Take a look at any craft store and you’ll see that I speak the truth. Acrylic paint, however, comes a ridiculous amount of colors by comparison. So it’s awesome that there is an additive, called Fabric/Textile Medium , that you can add to any acrylic paint you buy to make it fabric paint! Just imagine, you’ll have the PERFECT color for any project now. TIP 3: Got a kink in that ribbon? If you’re a lazy crafter like I can be you really don’t want to bust out the iron to press out that single (or perhaps multiple) defects. But the good news is that you don’t have to. 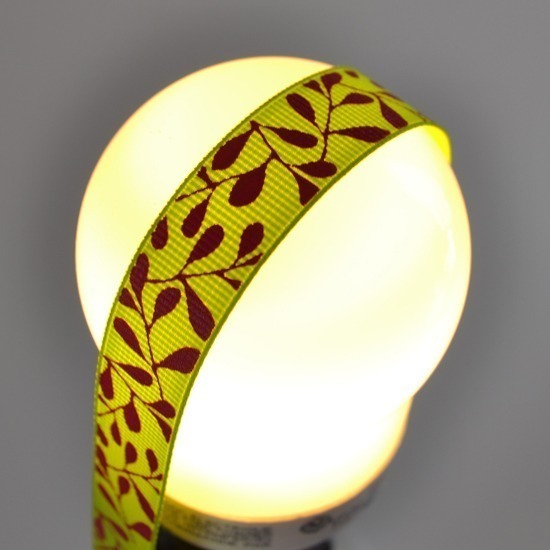 Take your ribbon and run it along the top of a lightbulb that has been on for some time so that it is good and hot. It won’t take long before your ribbon is back to perfect shape. TIP 4: Mason jars are in craft projects like crazy right now and you want to make projects for your home that are on trend, right? But the jars can be so darn expensive! Think about how many jars you bring into your home every trip to the grocery store. My most recent trip I brought home spaghetti sauces, alfredo sauce, hot sauce and pickles, all of which came in jars. When you use the contents up wash them and start a stash. You will be simply AMAZED at how many jars you were tossing out. 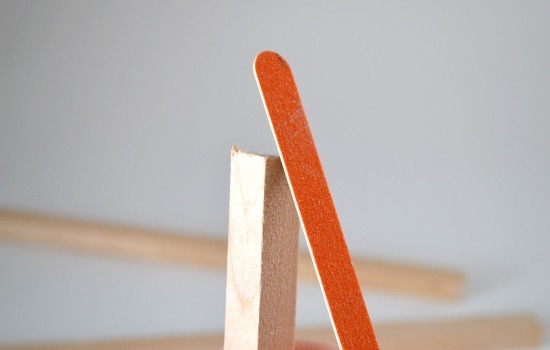 TIP 5: Need to sand off a slightly rough edge or small imperfection and don’t want to go to the effort to bust out your sander or dig out a piece of sandpaper? Most of us keep a little emery board in or near our desks. It can be used when just a quick little sand is necessary. 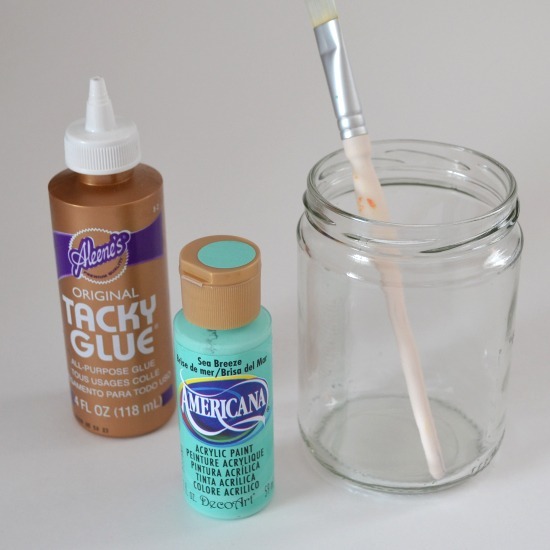 TIP 6: Having trouble with your paint washing off of glass projects? When working with something that will be HAND WASHED ONLY, add a healthy dose of non-washable glue to help it stick. Take a peek at my handy dandy glue guide if you need help picking one out to use. TIP 7: Keep losing the protective cover/lid to your X-acto Knife ? I can’t keep mine to save my life. To keep from accidentally cutting yourself when stored you can, of course, remove the blade or just turn the blade around and clamp back shut. When you need the knife you don’t have to try and find the old blade or dig out a new one. TIP 8: When you’re glittering something up I bet you 9 times out of ten the second you’re done shaking the sparkly stuff on you’re turning your piece over. 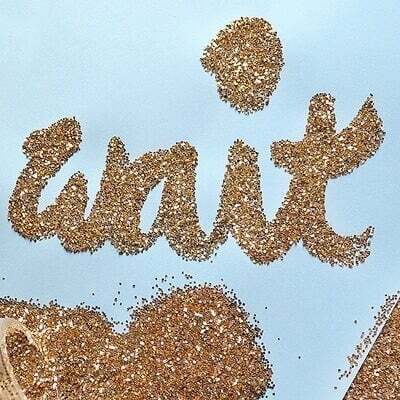 (I’m often guilty, too) If you wait until the glue sets, more glitter will adhere giving you better coverage. Plus that means less glitter mess on your work surface. WAIT until the glue dries! TIP 9: Do you have trouble with your fabric wiggling around on you when you’re trying to machine sew? Whenever I’m trying to piece together multiple pieces together (example, fabric, batting, fabric for a quilt) my back piece is always imperfect and sometimes just downright awful. 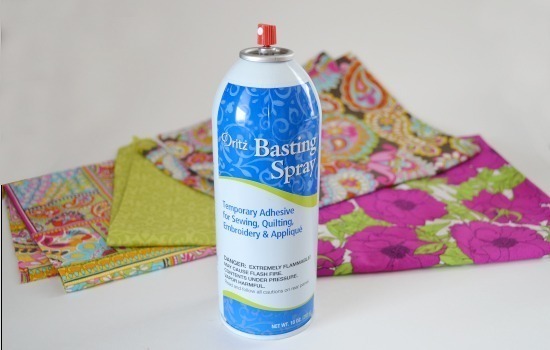 If you want to save the effort of ripping out a bazillion seams and sew it perfectly the first time, you simply must use aerosol basting spray. You can get it on Amazon, at Wal-Mart, Hobby Lobby and probably absolutely any craft or fabric store in your neck of the woods. It runs around $10-20 but, baby, it is worth every penny. When used per the directions (meaning you don’t spray the unholy heck out of your fabric) it will NOT gum up your machine, either. Plus, it will completely come out with your first wash! TIP 10: Polymer clay (like FIMO or Sculpey) stays soft until you bake it and it is often used in jewelry and crafts. Please take note that any knives or tools used when working with the clay will NO LONGER BE FOOD SAFE. Have dedicated tools just for using clay. 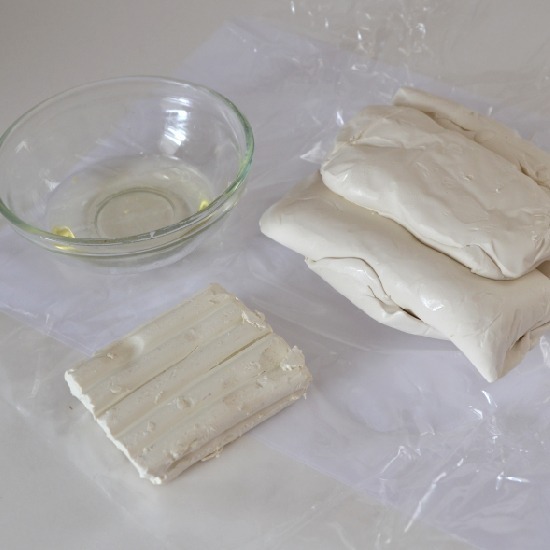 Additionally clay must be baked per the package directions – do not over-bake. Also do not make items for use with food, tobacco or near an open flame. Have adequate ventilation (as with tons of other mediums) and never, ever try to microwave in lieu of baking. Some even go so far as to say that your oven must be thoroughly cleaned before reintroducing food though I have not actually seen any evidence to support it it can’t hurt. If you intend to work on crafts that require baking frequently and are concerned ‘d suggest seeking out a little oven from a thrift store or garage sale. Mine actually sits in my garage and I always use it out there so I never have to worry. I don’t want to put the fear of clay into you, but some people out there do. Bottom line, polymer clay is safe when used properly. Know the facts and craft smart! Oh. both are just really great lists! Thanks, Midsommarflicka! You could try Google Chrome. That is how I keep up with blogs in other languages. It translates the pages automatically!